February 2015 GCO c. 6, Sec. 6-21 to 6-24 "City-Owned Cemeteries Advisory Committee"
The City-Owned Cemeteries Advisory Committee shall consist of three members and up to two alternates, all of whom shall be residents of the City; one non-voting advisory member who is engaged in either the funeral, monument, or florist business; and the DPW Director or his designee as an ex-officio. All appointments are to be for three years and made by the Mayor subject to the approval of the City Council. Member terms shall be for three years. maintenance of all City-owned cemeteries subject to the approval of the DPW Director and the Mayor with final approval by the City Council. The Committee shall advocate for the wellbeing of all City-owned cemeteries. The Committee shall recommend to the Director any changes in the rates for perpetual care lots in the City-owned cemeteries, and the Director shall propose any rate increases to the Mayor under Charter Sec. 7-16(a) who shall provide the proposed rates to the City Council for their approval under Charter Sec. 7-16(a). Absent a recommendation from the Committee, the Director may propose such changes. 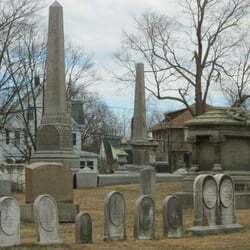 The Committee may propose regulations relative to the management of the City-owned cemeteries subject to the approval of the DPW Director and the Mayor under Charter Sec. 7-16(b) and approval and adoption by the City Council. Meetings are held the second Tuesday of the month at the Veterans Center 12 Emerson Ave Gloucester MA. Meeting run from 5:30 PM to 7 PM unless otherwise indicated on the Agenda.